What Work Is Being Done to Tackle the World’s Increasing Energy Demands? We are expecting the population of the world to increase by nearly 3.3 billion in the next 40 years. While we talk about the advancement of the world all the time, we continue to forget that 20% of the world’s population is still living without any electricity. 2 billion more people will be living without electricity in our world after nearly 35 years. Traditional biomass is being used by 3 billion people around the world for their basic needs such as heating and cooking. These demands will go sky high by the time we enter 2050. This could be quite depressing for someone reading but that’s just one side of the story. On the other hand, we have big companies, organizations and governments of the world making all efforts to increase the efficiency of energy producing methods and introduce new methods for the purpose in order to meet these needs. Countries have this challenge and they are doing all they can to come out as the winner. If circumstances of the world remain the same as today, Shell predicts that there will be a three times increase in the demand of energy worldwide. According to shell, these demands can only be met if governments do their job of not only increasing the production of energy but also moderating the demands. According to IEA the demands of energy in the next 20 years should be met with a total of $38 trillion. China will be using more energy than the US in the next 20 years and if the whole world has to be provided with new stoves and electricity, the cost will be around $48 billion in the next 15 years according to IEA. The good thing about today’s energy generation is that the world is making energy generation possible through renewable means. These renewable means are serving more than half the capacity needed today. The figures could go up to 77% in the next 35 years according to IPCC. Carbon emission is an issue as the prices of solar, biomass, geothermal and wind continue to go down with time. A look at the costs, environmental and financial, that have to be afforded for the current means of using fossil fuels suggests that using renewables will be the most effective, sensible and cost effective method for the world to meet its energy demands in the next 35 years. Big breakthroughs are needed in order to replace the current methods of energy production with better ones. If these breakthroughs are not made the world will still be using the same fossil fuels for energy production as the primary source by 2050. 47% of the electricity produced in the world in the past 10 years was produced using coal. These demands will increase by one-third in the next 20 years according to IEA. Such use of the current methods will also increase the average temperature of the planet by 3.6-degrees on the Celsius scale. To overcome this problem governments have to introduce methods of capturing carbon and making use of it for other purposes such as supporting the growth of algae for biofuels or using the same carbon dioxide for its use in cement as a carbonate. Carbon taxes could encourage industries to introduce equipment that has CCS on it to control the emission of carbon dioxide. In 2012 it was noticed that renewables did not get enough investment and investments went down by 11% as a whole. Renewable energy sources are still making quite a contribution in serving the world energy consumption. 17% of the total consumption of energy in the world is being served by these renewables. Renewables in countries like China, Spain, Japan, India, US, Italy and Germany are contributing 70% to the total capacity of electricity globally when non-hydro renewables are taken into consideration. If huge cities are to use the solar and wind generated power then governments will be met with the challenge of creating storage systems of huge sizes. That’s not the case when geothermal sources are used. Fukushima had a huge disaster but IEA has still given forecasts of some good news in the future as it predicts that a 70% nuclear generation growth will take place within 20 years. These statistics will only prove to be true if public confidence does not dwindle and costs don’t become a problem. The nuclear waste is a problem that has not received a worth mentioning solution yet. A nuclear reactor will not live for more than 40 years. While there are 435 nuclear reactors, civilian nuclear reactors to be precise, 140 reactors out of these have already completed their 30 years. Nearly 35 reactors have already gone over 40 years of age. Within the next 10 years 80 more nuclear reactors will be put to sleep as they complete their tenure. These will be the civilian reactors and no military reactors are being counted among the statistics. The next lineup of nuclear reactors will be more improved in terms of technology and safety as have been selected by The Next Generation Nuclear Plant Industry Alliance. These nuclear reactors will work on the gas-cooled technology that will keep them safe from leakage and releasing any radioactive material in the environment even if some unwanted external or internal event takes place. Global fossil fuel is being used inefficiently because of the huge amounts of subsidies that governments have been providing. Just in 2011 the subsidies calculated for the purpose were around $523 billion. No big move has been made in oil extracting technology and thus the oil industry is not going to see a huge boost in producing oil even after 20 years. According to IEA the oil production might go high very little after 20 years, saying it could be 96 million barrels on a daily basis if no big improvements in the technologies happen during this time. Currently, oil is produced at 89 million barrels every day. Running new oil wells is more than 100% expensive than it used to be a decade ago and the consumption of oil in non-OECD countries have gone past the use of oil in OECD countries already. In 20 years there will be double passenger cars on the roads. The number of running cars will be around 1.8 billion. The fueling of these cars will remain a huge issue. Even if electric cars are produced, they will make use of the natural gas or biomass. If hybrid cars are put on the road that allow flexibility of fuel, it could make a huge difference for the industry. It must be remembered here that hydrogen fuel cell electric vehicles have already been tested in the US and they performed better than they were expected to perform when it came to durability, efficiency and economic use of the fuel. There is an argument that hydrogen infrastructure is already quite late in its coming but these cars are on the road today. Their prices are a huge matter for now. However, petroleum-only vehicles can be easily replaced with hybrid and electric cars if the price difference is made smaller. Freshwater biofuel production has been a bone breaker for countries because of the costs but biofuel can be introduced as a great replacement of this type of biofuel. Biofuel might make up 27% of the total biofuel in use in 2050 for transportation purposes. Algae and cyanobacteria biofuel that is produced using the halophyte plants is going to be the most effective and productive way of producing biofuel because it could result in 200,000 liters/hectare-year of biofuel being produced. Non-traditional methods of gas extraction could be making up 2/3rd of the gas in 20 years. However, it will be obtained through a process called fracking. Fracking can result in frequent earthquakes and pollution of groundwater. It will also become a cause of releasing too much methane in the air. While the population of the world is increasing at an alarming rate and it seems that things might become worse in future, that’s simply not the case. There are some groundbreaking improvements being made to the current methods of producing energy, creating resources and making innovation. Costs could be reduced greatly through photovoltaics. Solar panels are being made better in their performance and producing energy by spreading water on their surfaces using the micro-channels. Hydrogen producing photosynthesis will be made possible through genomics. The heat being released by power plants will not be wasted but utilized for producing electricity. Programs have been implemented to use sea water for drinking. LEDs and small sized fluorescent bulbs will be used more frequently for the conservation of energy. Production of hydrogen is being made possible using solar energy. Nuclear reactions will be made possible with low energy. Buildings will be improved in their design so that they produce more energy than they consume. Geothermal energy is not available everywhere but it could be made available through the drilling process of hot rock. Power production that takes place at night and goes unused could be utilized in the production of electric cars. Things will have changed to quite a huge degree if countries and governments are able to achieve what they have planned. Japan can be seen making some big plans that could be revolutionary for the world. If Japan stays tenacious to its plans and passion, it could be operating solar power system in the space within next 15 years. In the next 25 years China could achieve the same. The use of these systems would be much more productive because using them will not cause the atmosphere of the earth to be polluted with GHG emissions. There are arguments on the production of energy with this method as some groups believe that there are other better methods that cost much less. However, the fact that a group of satellites revolving around the earth as solar powers could easily overcome the base-load electricity problems of the world cannot be denied. 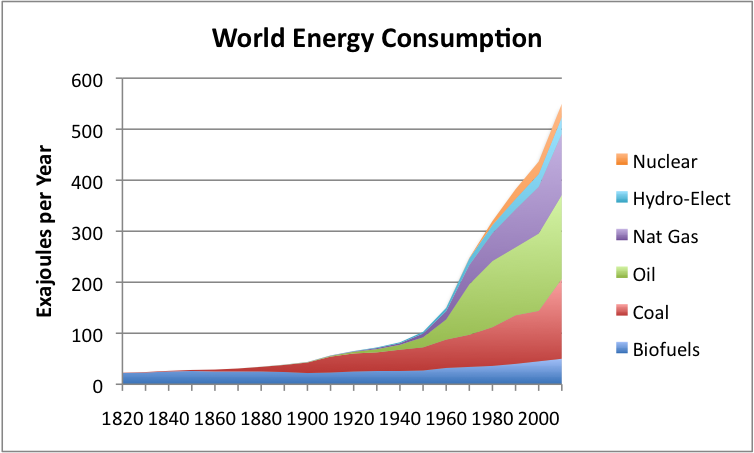 Yes, the population of the world is increasing and the demand for energy is increasing alongside. However, things are not going towards the worst as technologies to produce more energy continue to get better too. If technology improvement does not get jolted, world would still be a happy place in 2050.